Richard & 11-year-old Ronan Leighton - 2014 West Jet Winner! Being given 3 show passes to the Kris Kringle Craft Market was just the start of good luck for Richard & 11-year-old Ronan Leighton from Lantzville .Having attended the event and after much Christmas shopping was done, Father & son went home to go fishing together. 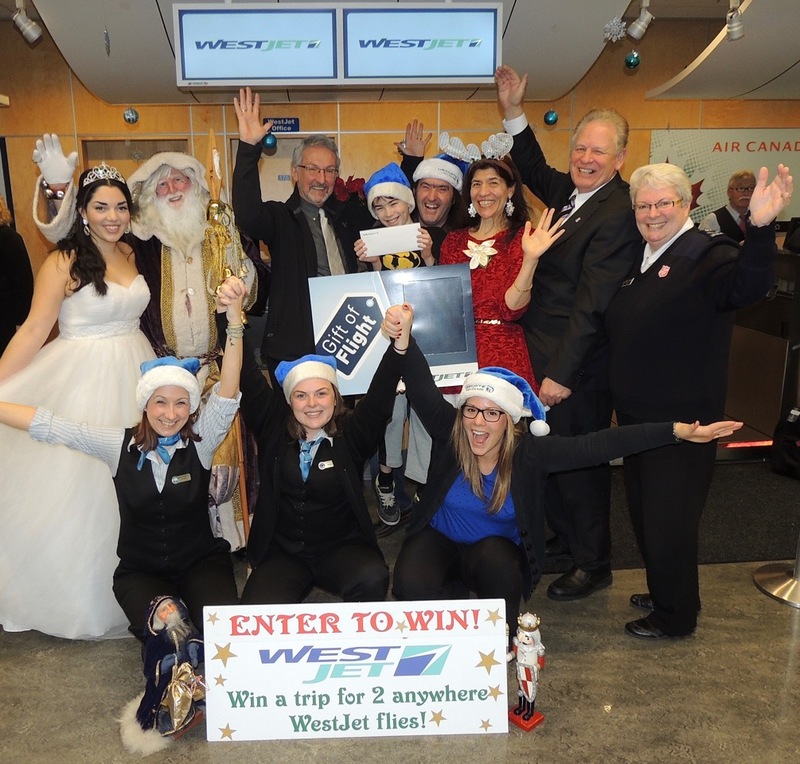 They had just returned with a bucket of fish in their hands when the call from Princess Kringle came in, “ Ronan, you just won the Grand Prize, A Trip For 2 Anywhere WestJet Flies!!!" With a hurried clean up, the pair excitedly headed down to claim their next win of the day all the while thinking of different possibilities that would make the WestJet trip more memorable. 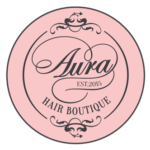 "We are grateful for this win as we could never afford 4 tickets and all of us going to Ireland together," shared an appreciative Richard who owns and operates Arbutus Music. 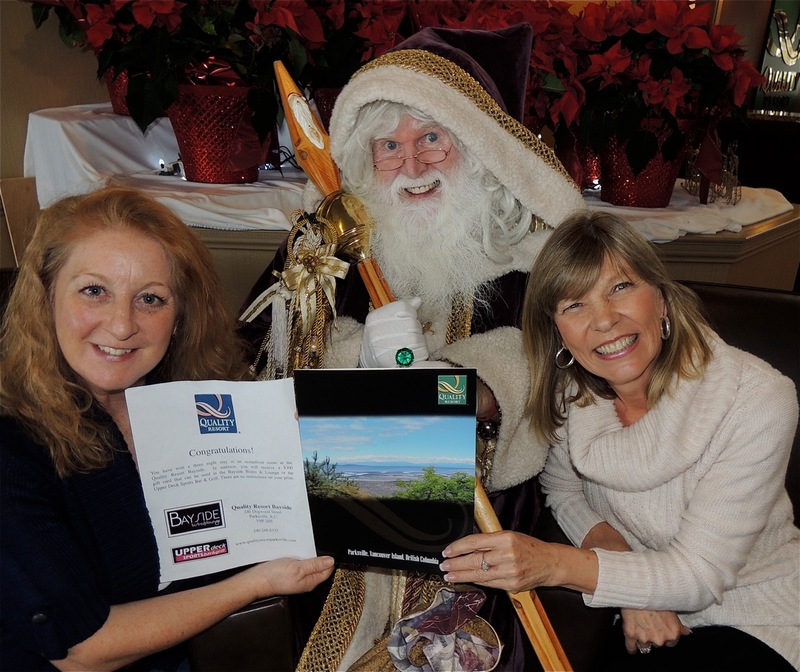 Joyce Parkinson, Coast Bastion Giveaway Winner! Joyce Parkinson is a crafter lover when it comes to shopping for everyone on her Christmas list. 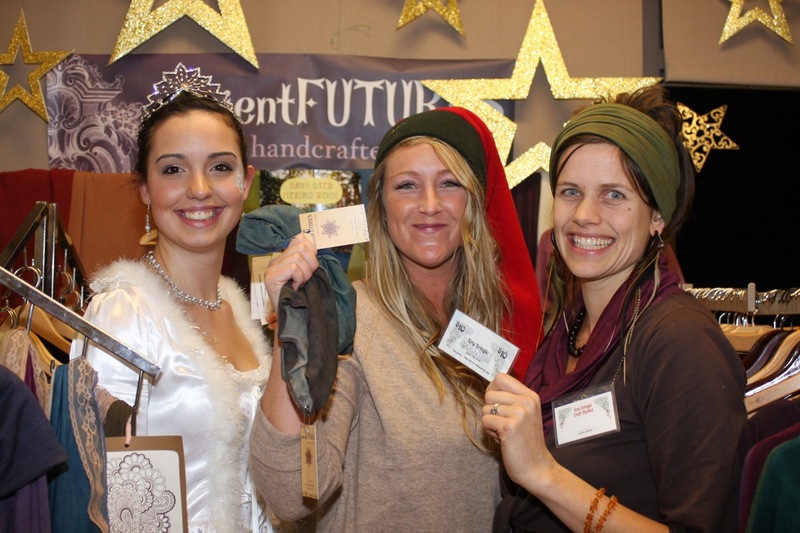 Parkinson visits all the craft shows every season but it was her first time to Kris Kringle. 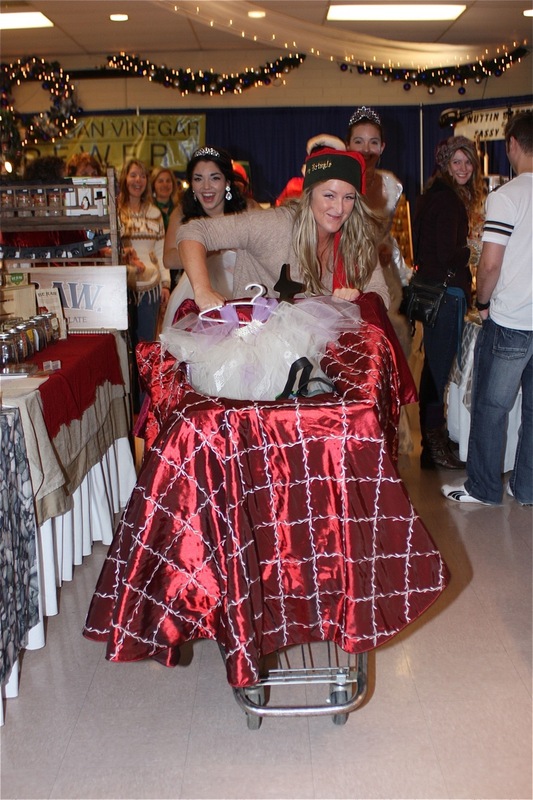 “ I loved the Christmas atmosphere at Kris Kringle as this is my favorite time of year”, Parkinson shared enthusiastically. “ It was an exciting place where I was able to buy, baby gifts, bath salts, Christmas food treats as my sister was having a baby and I wanted to make her Christmas extra special” imparted Parkinson. 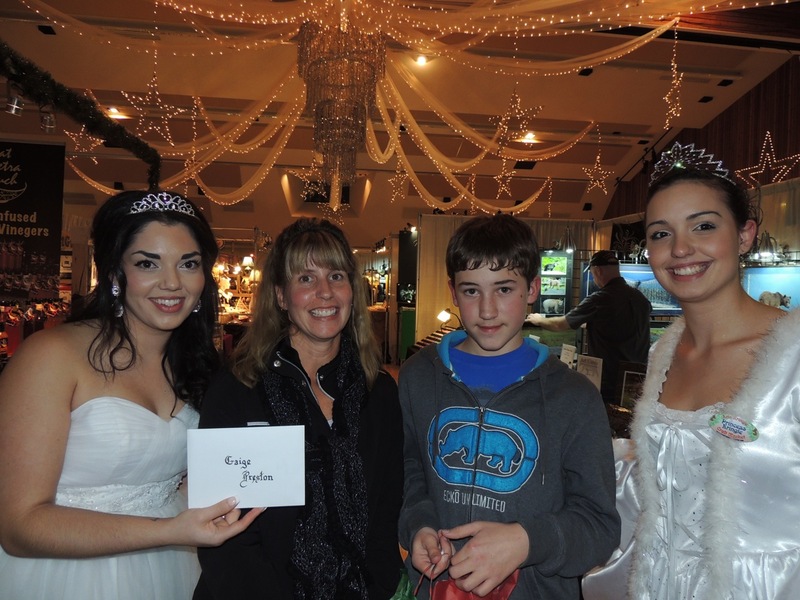 Parkinson received a call from Princess Kringle that she was one of the Daily Grand Prize winners, a 2 night stay in a Superior Guest room at the Coast Bastion Hotel & Conference Centre plus a $ 50 dining voucher at the Minnoz restaurant. “ I am moving to Kamloops to study but when I am finished this December, I am coming back with my boyfriend to luxuriate in my winnings “, bubbled Parkinson. Elverna Edwards- Mailloux , Director of Sales and Marketing of Coast Bastion echoed her sentiments whole-heartily when she welcomed and handed Parkinson her $500 Gift Certificate. 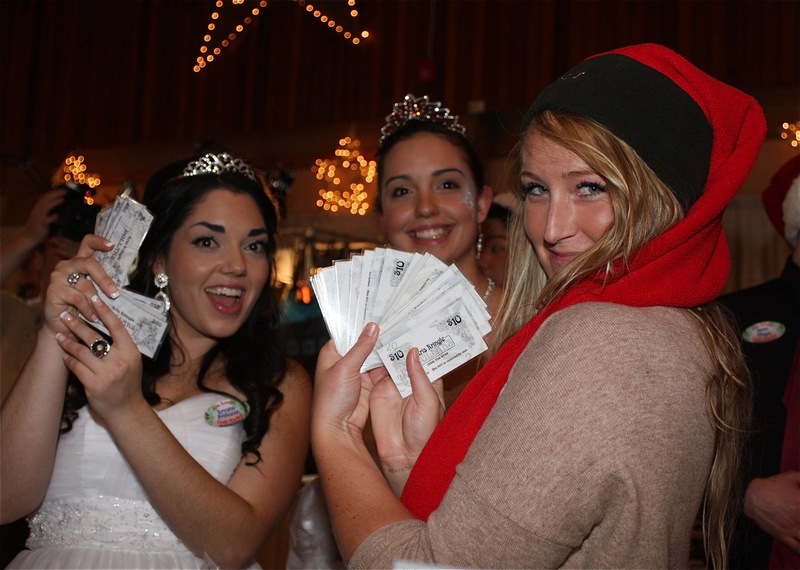 When 27-year-old Jennifer Alexander from Qualicum Beach got the call from Princess Kringle Thursday night from the Kris Kringle Craft Market that she was the $ 1,000 shopping spree winner she thought the Princess was kidding. Being a starving Biology student for the last 4 years and living on a tight budget she was suddenly now in a position to Christmas shop for her Family and friends creating a feeling of surreal. “ We have a” Secret Santa “ in our Family and I had my sister Nicole to shop for so when I face booked that I was the $ 1,000 winner, my sister was so excited that she face booked that she was going to have BEST Kringle Christmas stocking this year”, laughs Alexander, who bought lots of body products plus other goodies for her friends. She completed all of this in a NEW Kringle Shopping Spree record time of 18 minutes, as the entire Kringle Family was her entourage and packing up the gifts. 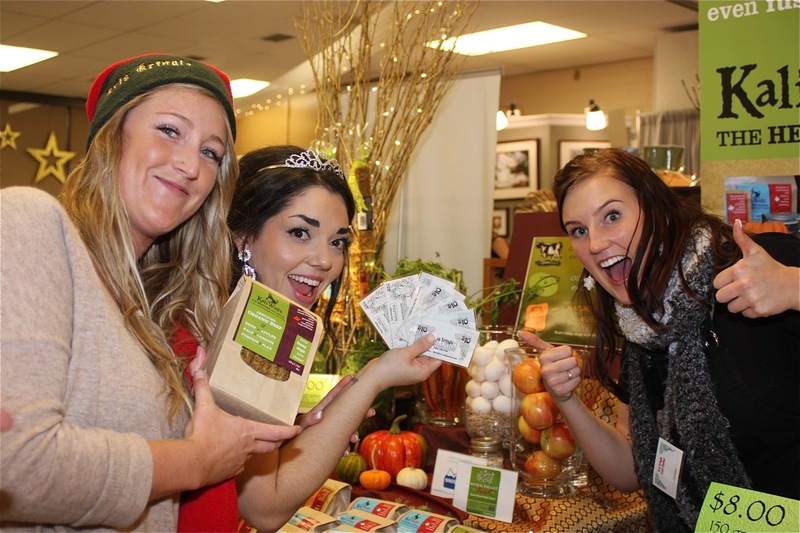 “ This was such a new exciting nerve racking experience that I couldn’t sleep and I was still pumped at 2 am as my mind went over and over the experience, “ bubbled Alexander who loves craft fairs because everyone is so happy. By self-confession, Verona Stone is a Christmas junkie, “Christmas is my thing! 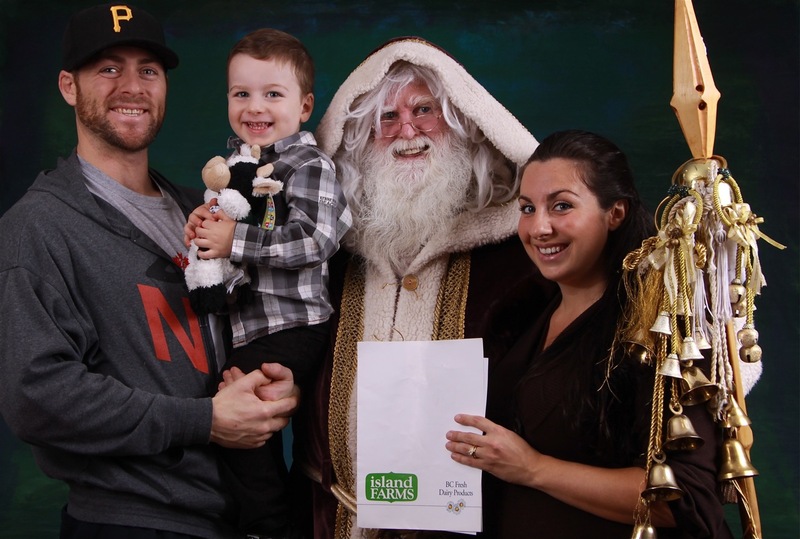 Going to Kris Kringle is Mom’s Day Away as it gives me the Christmas feeling,” states Stone. “It’s a Family tradition in our home that we have a tree day and the entire family spends ALL day decorating our 10’ Christmas tree. So Kris Kringle is the catalyst that gets us started. 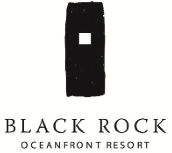 Going to the Black Rock Resort in Tofino for a 2-night stay will be a great get-away for our Family after Christmas”, adds Verona. For Leigh-Ann Taylor who hails from England, she always went to the Christmas Markets at home as she believes in supporting the local economy. 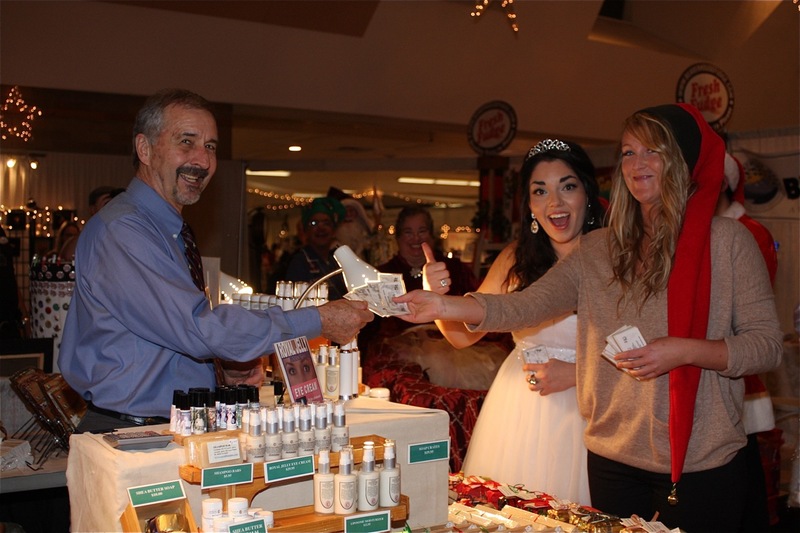 “Kris Kringle is the best craft show in the area! 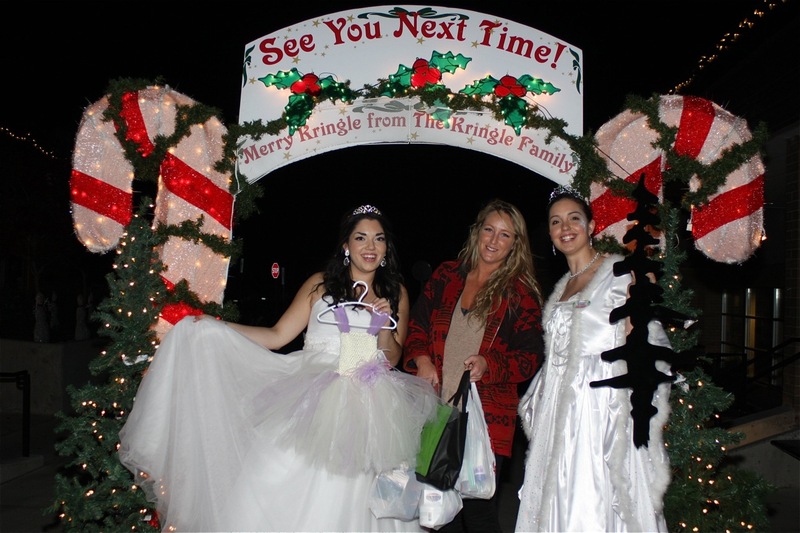 It is beautifully decorated, with a pleasant Christmas atmosphere plus it is close to home, so we went several times over the 4 day event”, imparts Leigh-Ann. 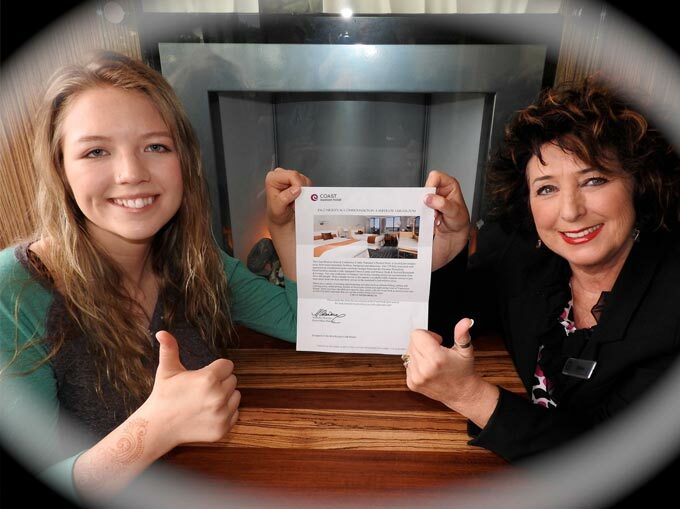 Having entered her name each day paid off as it increased her chances because her Family won a fun filled packed weekend at Marina West in Tofino that includes Whale watching. 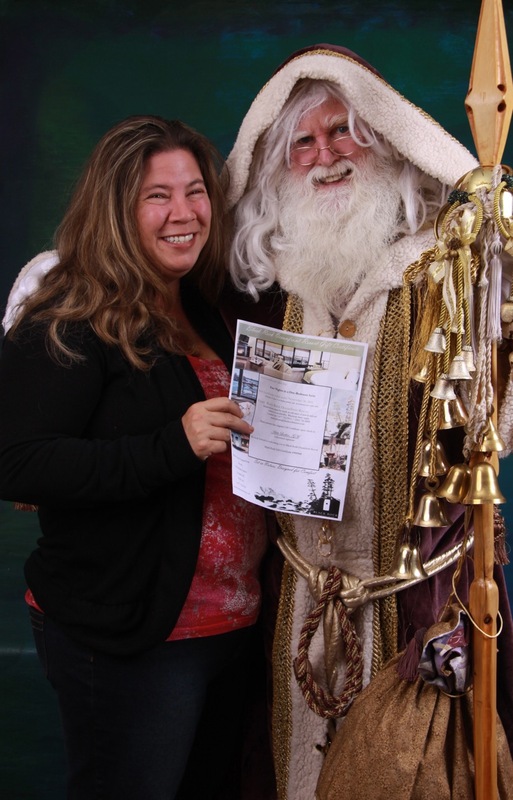 Rounding out the Resort wins is Linda Haines who enjoyed the food vendors, great parking and great location at Kris Kringle this year! “I brought my friend, as it is good teamwork to go shopping and bouncing ideas off each other. I enjoyed the German Christmas Markets in Europe and Kringle brings the Christmas feeling out”, acknowledges Linda. “I never win anything! But now, we get to celebrate our 10th husband had just recently said to me that I needed a get-a-way and this couldn’t have happened at a better time”, laughs Haines. Three-year-old, Troy Harris, will be sharing his next Birthday Aug 4 in a very special way. He will be joined by his soon to be new baby brother who is coming into the Harris’s household as a New Year baby - Jan. 4, 2014! Turning four is pretty special, but made more so since Harris has Farmer Vicki and Daisy the Cow from Island Farms bringing cake, balloons, ice cream and other treats for him and 12 of his pal friends. The kids are the perfect age for this as well as well as the kid in all of us parents”, laughs Loraina. Then there was 12-year-old Gaige Preston. 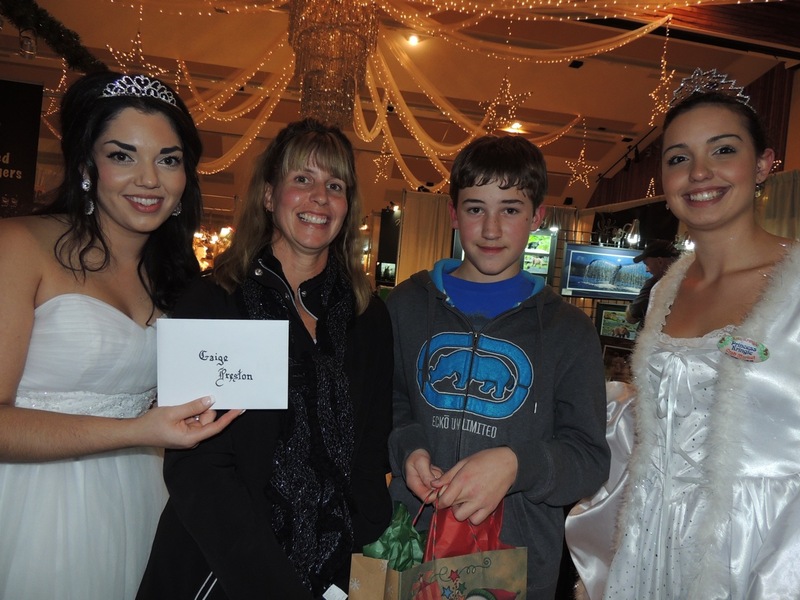 “Every year, Gaige enters colouring contests as he is so creative”, adds Preston’s Mom, Tammy. 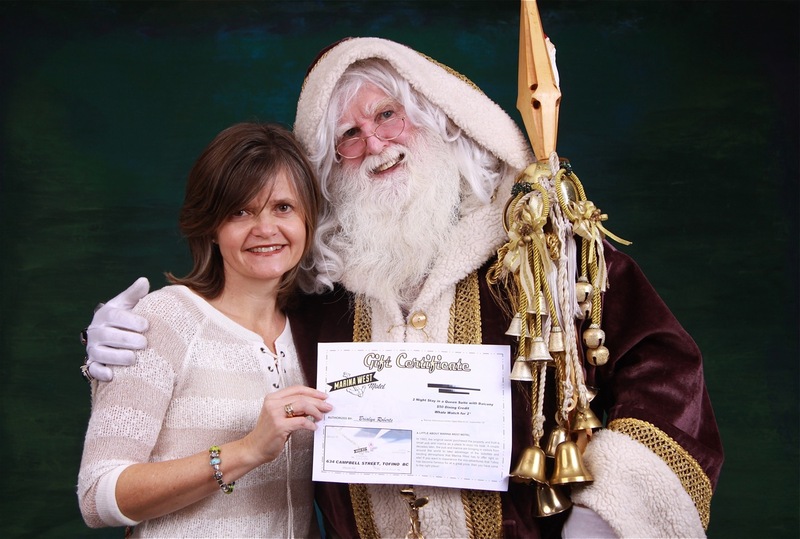 “So he entered the Kris Kringle colouring contest and was so excited to win! He was especially thrilled with one of his prizes, which was a carved castle by Sharon Hubbard. He hopes to meet the artist again, as he visited with her in her booth and they exchanged enough thoughts that maybe he might even take one of her carving classes in the future”, proudly adds Mom. As Kris Kringle becomes a Family tradition for the Harris’s, another Nanaimo Family, but also for Gaige Preston and his Mom Tammy from Parkville, who have been going for the last 6 years, really liked the great amount of parking available this year.